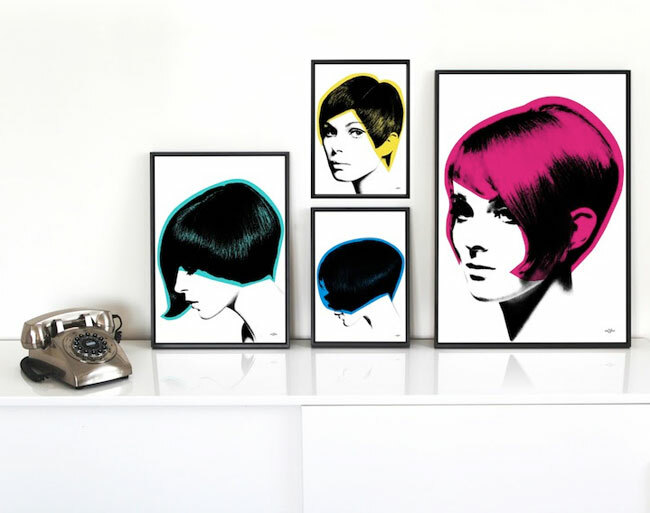 You may have the vintage wardrobe but, to really look the part, you can pick up a few tips from this new book Vintage Hairstyles: Simple Steps for Retro Hair With a Modern Twist. Looking to create a glam retro hairdo for the forthcoming Christmas party season? This Umberto Giannini Vintage Hair Styling Kit might give you a helping hand. Nothing finishes off a retro outfit better than by topping it off with a big bow and this Bow Tiara from Tatty Devine is a little bit special. If you are anything like me, spending all too long preening one's vintage mane and then heading outside only be greeted by a veritible monsoon, you will have wished for one of those plastic bonnets your grandmother used to sport.